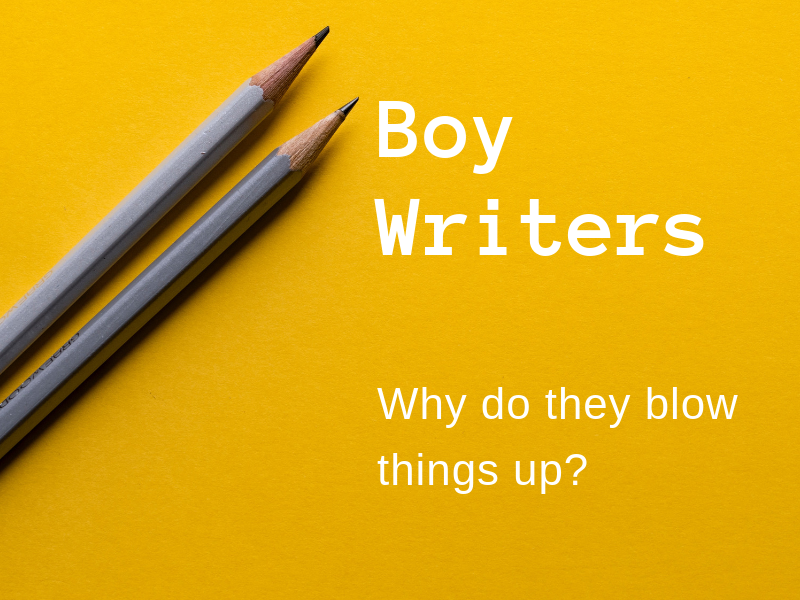 The Joy of Boy Writers: Why do they blow things up? Do you ever wonder what is wrong with boys that when they actually do put pencil to paper they destroy all the things? War stories. Blow up a building. Someone hit in the face with a baseball. A supersonic fart destroys all of nature. I AM A GIRL. As a child I wrote about Strawberry Shortcake, Smurfette, and marrying Luke Skywalker. I did not understand why my sons wrote disturbing things. Am I doing something wrong? Is it TV? Video games? It’s the Super Smash Brothers game, isn’t it?! I’d show my husband the stories. He’d shrugged his shoulders and say, “I wrote stuff like that as a kid.” Which is when I would give him the side-eye. Seriously, WTH is wrong with the XY chromosome combination? Yet other than writing, my boys didn’t show any unusual tendencies towards violence. And my husband grew up to be the peaceful guy next door, all while playing video games as a kid. So I didn’t make anything of their violent stories. But I still wondered WHY. Fast-forward a few years and I got this book, Boy Writers: Reclaiming Their Voices. If I became Ruler of Homeschool Universe for a day, my first command would be all boy moms must read Ralph Fletcher’s book. I wish I’d had it when my boys were younger. I didn’t read it until they were in high school yet it still held insight for me. This book devotes an entire chapter to violent writing. To my female brain this still sounded odd to me, but this description fit the pattern I saw with my boys. Overcoming dangerous experiences was to their young boy friendship as secret sharing was to my young girl friendship. Okay, I’m starting to wrap my mind around this. This was a lightbulb line for me. 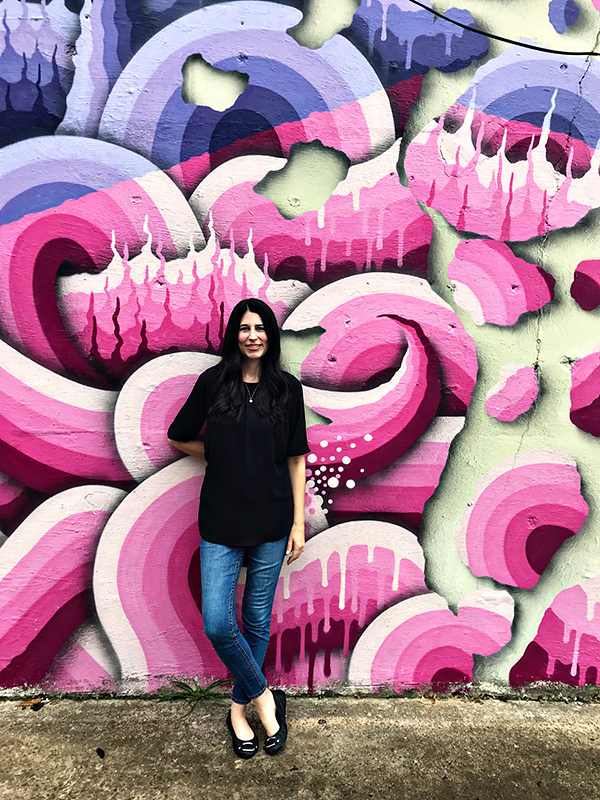 This violent writing is about safely grappling with power and danger. So THAT’s what they’re doing! They’re not crazy nor corrupted by Mario. They’re just boys wrestling with how power and danger show up in the world. Even though the expression may change as their writing grows more academic over the years, this male interest in power and danger hasn’t changed much in my home. Just today we watched the Ted Ed video series “Why You Should Read…” (insert various authors or books), watching the three Shakespeare plays in the video series. Sure enough, the plays they wanted to read were the ones about power and danger (Macbeth & The Tempest), not the romcom (A Midsummer Night’s Dream). I may be drawn to more introspective literature selections and writing as a female, but now I get why my boys might not be. This helps me be a better educator to my boys because it’s yet another insight to what piques their interest. I have a new lens in which to consider their thoughts, reactions and responses to literature and writing: a safe way to grapple with power and danger. If you don’t own Ralph Fletcher’s Boy Writers, go get it! I command it as Ruler of Nerdy Birdie Land. This isn’t an affiliate link. I simply like the book and think it’s important for helping educators better understand boy writers. Consider it another tool in your home educator toolbox.